We often use private browsing mode or Incognito mode of the browser for surfing the web, especially when we do not want the browser tosave history and cookies. For a layman user private browsing mode of the browser provides a basic level of privacy where all his browsing activities and searches are automatically flushed with the end of his browsing session. Now, when we talk about Chrome browser the private browsing mode is known as Incognito mode. Like other browsers, the Incognito mode in Chrome also accomplishes the same set of privacy to its users. However, on one side where Incognito mode of Chrome provides us the privacy while surfing over Internet on other side it reduces the functionality of the browser by disabling all extensions. Well, no need to lose your heart as in this article we will provide you with the simple instructions to enable Chrome extensions in Incognito mode. Why are Chrome Extensions Disabled in Incognito Mode? Before learning how to enable Chrome extensions in private browsing mode, we will first discuss why do the extensions automatically get disabled in Incognito mode. As you all know that extensions are a small set of programs or applications that not only improve the functionality of Chrome by providing additional nifty features but also add an extra layer to the security. However, when we get into Incognito mode in Chrome all the extensions automatically disappear. Why? 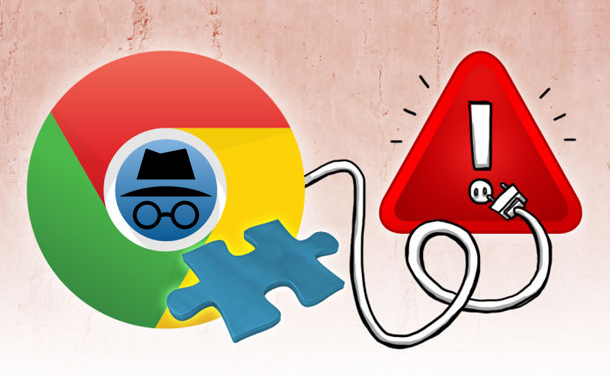 Since the basic purpose of Incognito mode is to prevent the browser from tracking the user’s activity, therefore, Chrome cannot confirm that which of the extensions will track user’s data and which won’t. Thus, to provide you a complete private interface to browse the web it disables all the extensions that you have installed in your browser. But you do not need to worry as we are here with a turn around that will allow you to continue with your favorite extension, and that too in Incognito mode. How to Enable Chrome Extensions in Incognito Mode? Once you enable extensions in Incognito mode of Chrome you will be duly benefitted as now you can browse in private mode and that too along with your favorite extensions. 1. To get started, launch Chrome browser in normal mode and click on menu (three dots) at the top right corner of the screen. From the drop-down menu select More tools option and navigate to Extensions. 2. This will open Chrome extensions window. Here you can find all the extensions that you have installed in Chrome. 3. Now since you wish to enable Chrome extensions in private browsing mode, select the extensions individually that you want to use in Incognito mode and click on Details. 4. Click on Allow in Incognito button to enable that Chrome extension even in Incognito mode. This will display a warning that Google Chrome has no control over extension to stop them from tracking the browsing session. Therefore, we recommend you enable only those extension in Incognito mode that you feel are essential and trustworthy. That’s it. From next time onward whenever you start your Chrome browser in Incognito mode you will find your favorite extension right there, all set to use. Yeah, it’s true that Chrome disables all the extensions in private browsing mode for a valid reason that is to safeguard our privacy. However, there is no harm in enabling Chrome extensions in Incognito mode that we trust and feel are necessary, like the one that disables pop-ups and ads. As no one wants to face those nuisance ads and pop-ups irrespective of normal or Incognito browsing mode.